Georgia Seed Development meets the needs of today’s agricultural and horticultural markets by propagating and marketing foundation seeds and plant materials of new cultivars that are higher yielding, more disease-resistant, more nutritious or of greater ornamental value. 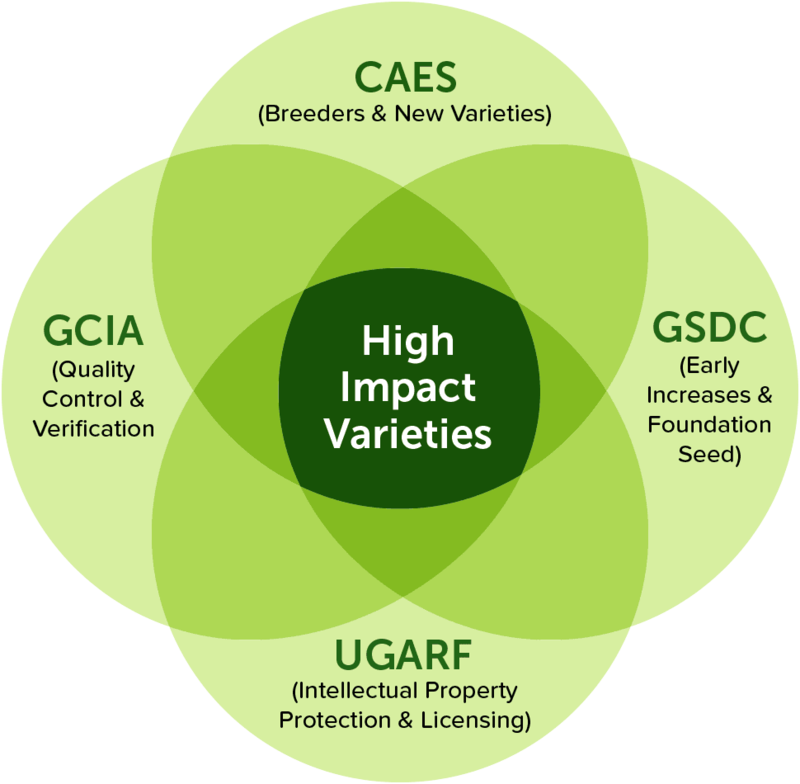 Our “systems” approach integrates plant breeding research, intellectual property protection, quality control and marketing to a global marketplace. Whether it’s providing plant materials or helping researchers license and sell their intellectual property, we can help. Start a conversation with any of our system’s members by clicking on these links (CAES, GCIA and UGARF) or contact the GSD staff by calling 706-552-4525. To provide the bridge between plant breeders and commercial companies by providing genetically pure Foundation plant material of new cultivars, to supply quality services that support commercialization of new cultivars, and to act as a catalyst to enhance plant breeding efforts.